We would all love to have healthy hair that cooperates with every style and shines instead of getting frizzy, but unfortunately that doesn’t come naturally for all of us. In fact, we may try so hard for a shiny, healthy look that we end up doing more harm than good. The overuse of styling tools and products can leave your hair dried out and dull. Here are just a few tips for reversing the damage and getting on your way to healthy, shiny hair. While the desire for healthy hair often compels us to wash our hair everyday, this can actually dry out your hair too much, leaving it dull and frizzy. Too much washing will strip your hair of the natural oils that keep it hydrated. If you can avoid it, don’t blow dry, flat iron, or curl your hair everyday. While these styling tools help you achieve the hairstyles you want, they can greatly damage your hair when overused. When you do use a heat styling tool, protect your hair with a product like our Saharan Liquid Gold Argan Oil. 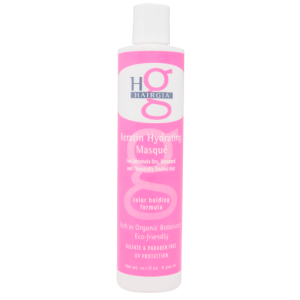 It eliminates frizz, adds shine, and nourishes your hair. It is important to use hair products that are high quality and made with ingredients that are gentle on your hair. Many hair product lines contain harsh chemicals that could end up causing more damage to your hair. 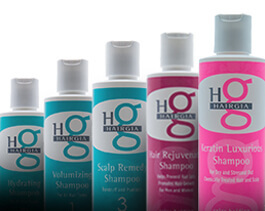 HairGia’s hair care products are made from some of nature’s best, most nourishing botanicals such as aloe vera, basil, chamomile, and ginseng. Plus, our products do not contain sulfates- the chemicals that cause cleansers to produce suds, but that are actually quite harsh on your hair. We believe in using ingredients that you can be proud to use, ingredients that are good for your hair and good for the environment. 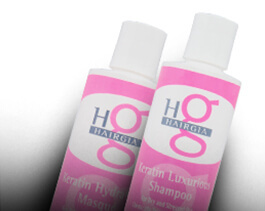 For optimal shine, use our Keratin Luxurious Shampoo and Keratin Hydrating Masque. These deeply moisturizing products contain keratin proteins to restore health and shine to damaged and chemically treated hair. You will be amazed at the results! 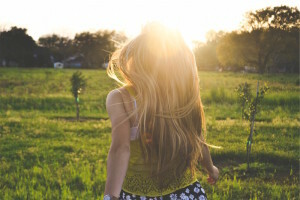 If you have been less than satisfied by the health of your hair lately, just try the simple tips above to rehydrate your locks and restore a beautiful, healthy shine!